During the olden times, working Moms like me are limited when it comes to "me-time" as what we call it today. Moms are bound to do housework, take care of the kids and make the home beautiful. Setting aside our self to renew, recharge and be pampered has been always the last priority. Not anymore! with all the possible ways to get yourself relax, enjoy and rejuvenate, we don't have any reason to do so. 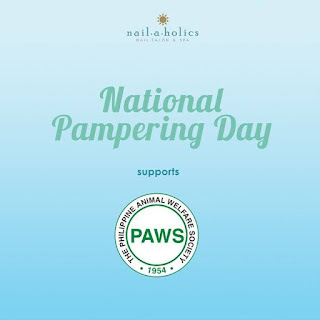 I for myself is excited for the National Pampering Day soon be happening at all Nailaholics Nail Salon and Spa! 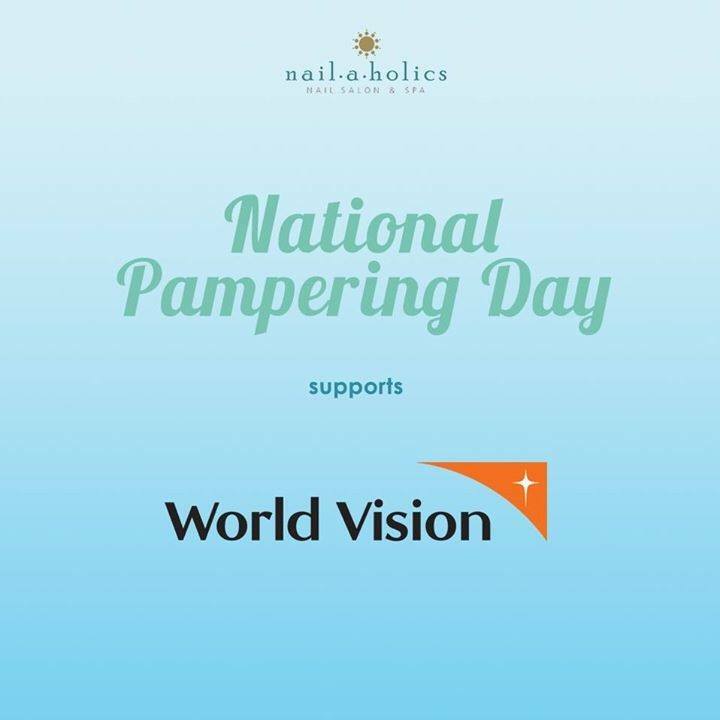 The National Pampering Day got off to a good start last year where Nailaholics offered free manicure service and a stress-relieving hand massage from 10 AM to 12 NN on all their branches nationwide. This year, everyone will be treated to a free service of their choice: a soothing manicure, calming foot spa or a relaxing foot massage. “We Filipinos are very hardworking in any given aspect of our lives and a nation of energetic and industrious people best deserves real pampering once in a while. 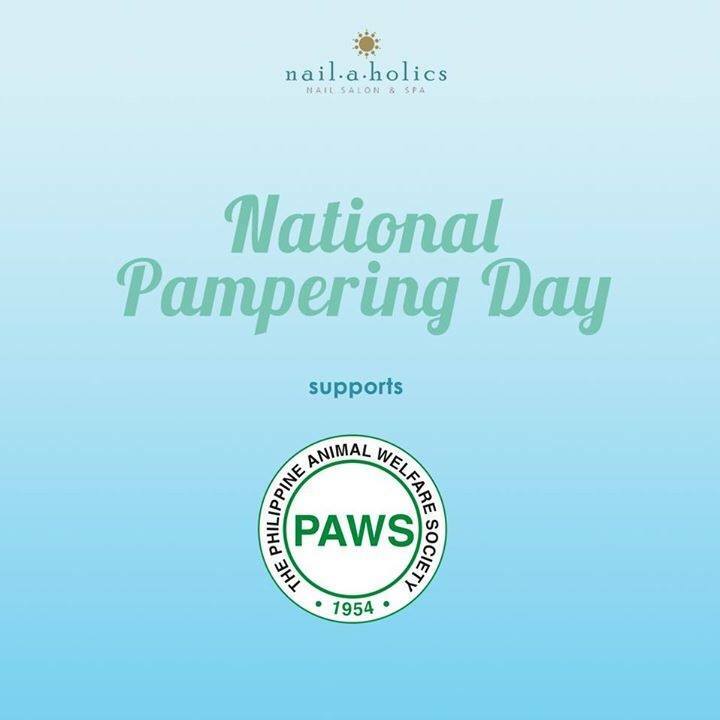 This year, as Nailaholics celebrates the 2nd National Pampering Day, we go deeper and dedicate this to everyone and remind them to take it slow, take it easy, zone out and relax for a while,” said Arvin Amaro, Marketing Head of Nailaholics Nail Salon and Spa. So save the date and get ready to park away from any thoughts of work because the only responsibility you have is to loosen up. Wind down and head down to any Nailaholics Nail Salon and Spa branch on October 17, 2017 (Tuesday) from 10 AM to 1 PM and get yourself a free relaxing manicure, foot spa or foot massage. Let Nailaholics’ skilled nail technicians take care of you for a little while and walk out of this Hamptons-inspired nail salon feeling refreshed and ready to bring it on again. Grab this once a year treats only at the country’s top destination for relaxation and real pampering.